The journey to this sold sign was about a year in the making. I met with this awesome couple a year ago and they developed their task list to get the home ready for the market. 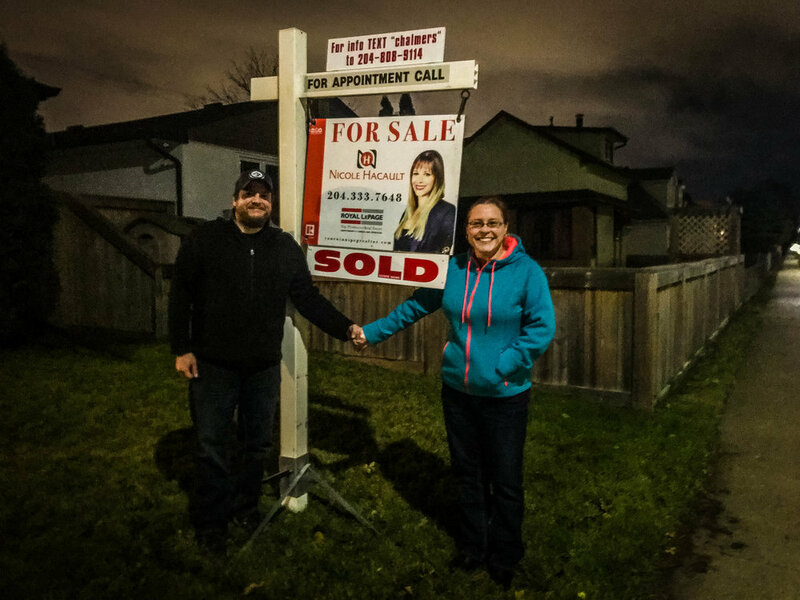 Jason and Monica have extreme pride in ownership and wanted to ensure they were putting their best foot forward and presenting the home the best way they could. They started working on decluttering, painting, doing trim, working on the kitchen, flooring, redecorating and re arranging furniture. These guys were great students and listened to so much that Heather Drenker (the home stager) had to say. 6 Days ago the home hit the market and we knew that it would do well, but even still everyone was nervous. Through the past 6 days they didn’t get to spend an evening at home relaxing as there was always a showing, and even on Saturday morning I had to kick them out nice and early for the first showing of the day at 10am. But when I saw that 10 am showing request, and I groaned a little bit for them, they didn’t complain at all. Instead they just told me they were heading out for breakfast and it was all good. Today we got to sit down and review all the offers and were fortunate enough to have an unconditional offer and we immediately hung up the SOLD sign! After living in a show home for the past week they were delighted to put things back to normal for a bit before having to officially pack up. Congratulations Jason and Monica, you are amazing clients and I can’t wait to find you your dream home now!